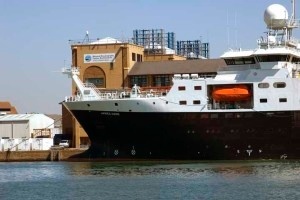 The National Oceanography Centre (NOC) is the UK’s largest institution for integrated sea level science, coastal and deep ocean research and technology development. Its more than 2,500 staff, including scientists, engineers and technologists, address key challenges such as sea level change, the oceans’ role in climate change, predicting and simulating the behavior of the oceans through computer modelling, the future of the Arctic Ocean and long-term monitoring technologies. Keeping those employees safe and securing the institution’s assets in accordance with defined NOC procedures, including compliance with Health and Safety and the applicable Data Protection Act laws, is a primary function of the Centre’s Estates Department and in particular Paul Dent, Security Supervisor. One of Mr. Dent’s main responsibilities as Security Supervisor is securing and tracking facility and master keys. At one time, as many as 40 individuals had access to NOC’s master keys, with only manual procedures for signing keys in and out. Other employees as well as outside contractors also needed key access, making his job of securing and manually tracking keys much more difficult. 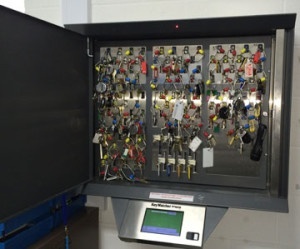 The key control cabinets installed at each of NOC’s two locations consists of nine modules, each holding 16 keys. 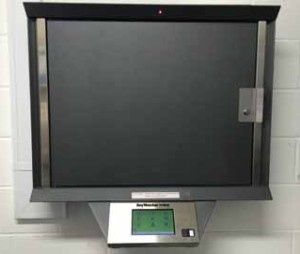 The system is configured with biometric identification for fast and easy access. Once an employee’s identification is verified, the cabinet door unlocks and the requested key can be accessed or a key can be returned. Users can only take a key they are authorized to access and all others keys remain securely locked in the cabinet. All transactions are automatically recorded. To accommodate outside contractors, the system is programmed so that when security draws a particular key for a contractor, they must first input the contractor’s name, company and permit number as well as a scheduled return time. KeyWatcher Touch is designed with a 7” full color LED touchscreen making this procedure faster and more convenient. In the event a key is not returned as scheduled, an email alert is sent to security so they may take appropriate action, having all the contact information about the contractor. Now, instead of using manual index log books or individual receipt cards to record the access/return history of each key, the KeyWatcher Touch system is programmed to record usage activity for each user by access code, time and date and to provide daily PDF reports. The reports are used by security staff to monitor which keys have been returned as scheduled and which keys are still out or overdue. This information assists security in ensuring the return of all keys and eliminates the guess work when tracking lost or overdue keys. A more detailed report is used by Mr. Dent to verify reported work hours based on what time an individual takes a key out or returns a key. The report is also used to determine who may be currently in the building and where in the event of an emergency mustering and also as an information source when investigating an incident. Based on the success of the key control system implementation for Mr. Dent’s security department, NOC is planning to expand the system to allow the maintenance department to secure and track their keys. It’s a clear and reliable solution for addressing risk management throughout the institution. Learn more about key control solutions for government and military.